It’s been a great summer – you’ve played hard and probably worked hard, too. It’s not surprising that your body, and your spirit, is somewhat worse for wear. Not to worry. We have just the fix. A massage is a great way to get your mind and your body back on track. You can probably guess what some of the physical benefits from a massage will be. Overworked muscles will be less painful and also less prone to cramping or spasms getting you ready for that next big project or outing. Did you also know that massage increases the flow of oxygen to your tissues and organs by improving circulation? It will also stimulate lymph flow enhancing your natural immunity to viruses and other environmental insults. While the physical results of a massage are huge, many people overlook the equally amazing emotional results. Recent research has shown that the mind-body connection is real and may account for up to 90% of some disease symptoms. By decreasing your stress levels, massage can let you get a more restful sleep, which in turn not only affects your energy level but also helps you to concentrate better and be more productive in the following days. As with most healthy things, routine is the key. Making massage a regular component of your wellness regimen will not only help you feel better, you’ll also look better and your body will age more slowly and gently. Just because massage feels like an indulgence doesn’t mean it isn’t also therapeutic. Talk to your practitioner to set up a routine that meets your goals and your lifestyle. Massage is a great way to hit the reset button on your hectic schedule. 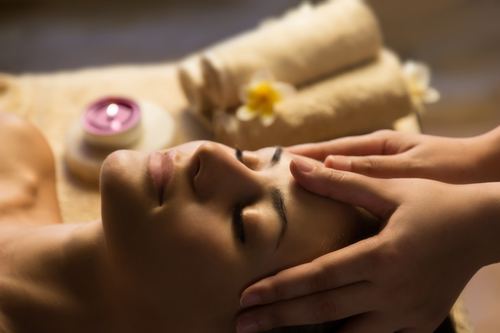 The team here at Salon D’Artiste is ready to help you find a massage therapy routine that fits your needs. For an appointment, we can be reached at 610.687.2020 or see us at the salon at Eagle Village Shops, 205 Lancaster Ave #2, Wayne, PA 19087. Want to make an appointment instantly? Use our app! Our app is available through the Apple Store, Google Play, or Amazon.